Javi here. If you guys didn't know, we're huge fans of THE RAID here at WDYMS. That will be most likely be a top ten movie for me this year and I can't wait to buy it on Blu-ray. So imagine my surprise where in my daily stalking of Scott Weinberg's twitter, I see that this tweet from user @ji_doctor, who pointed him to a claymation/cat version of THE RAID , a "ClayCat" if you will. It's so much fun and definitely worth looking at. Beware of spoilers for the movie if you haven't seen it. The video description says that it's spoiler free, but I disagree a little. Check out the video after the jump. That was pretty great, wasn't it? 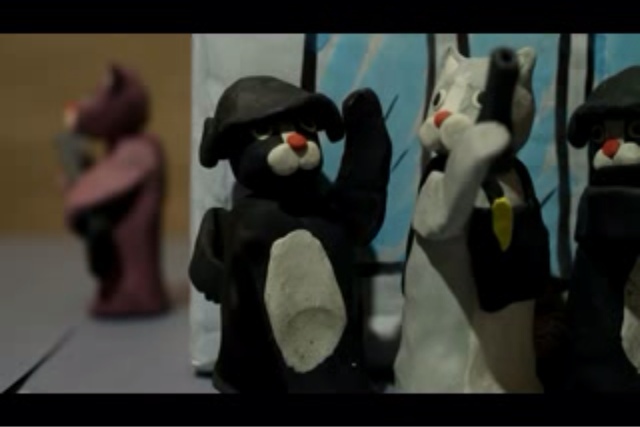 For more awesome ClayCat movies, go to their YouTube page and subscribe. You can also follow the ClayCat mastermind, Lee Hardcastle on twitter. Look for him in the upcoming ABC'S OF DEATH.